The battery in Samsung’s flagship phablet is good enough for a day and then some but you may still be searching for the best power banks for Galaxy Note 8 if you’re one of those users who need to stretch their phone’s battery as much as possible in a single day. This is where battery packs or power banks come in. It’s basically an external battery that you carry with yourself and use as and when required to charge your devices. We have some good options for you in this list of best power banks for Galaxy Note 8. The Galaxy Note 8 has a 3,300mAh battery and much like Samsung’s recent flagship devices, it’s non-removable. We mentioned in our Galaxy Note 8 review that Samsung has used a clever combination of an efficient processor and software optimization to enable the handset to match and even best the battery life one gets from the 3,500mAh battery in the Galaxy S8+. The first option on our list of best power banks for the Galaxy Note 8 is the 26,800mAh RAVPower portable charger. It has a chunky battery inside that’s enough to provide seven charge cycles for the Galaxy Note 8. It has USB Type-C input which means that you can charge up the external battery using your handset’s charger. It’s capable of rapid recharging so when the Type-C cable is used, this 26,800mAh battery pack can be fully recharged in 4.5 hours. 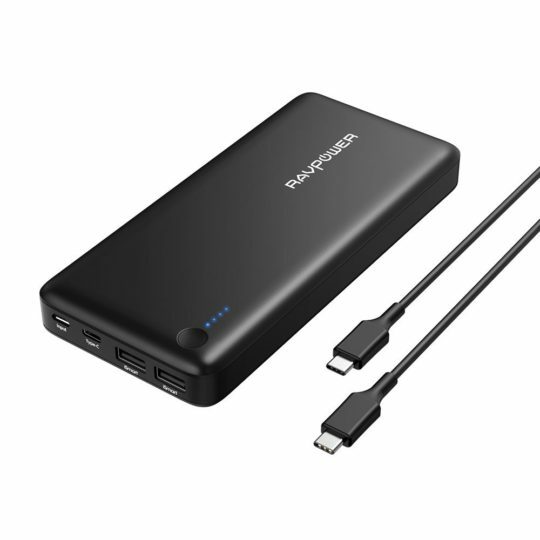 It’s the most expensive option on this list as the RAVPower portable charger costs $81.99 on Amazon. However, it’s going to be well worth the money if you’re looking for a substantial power bank that will get you through a couple of days at least. 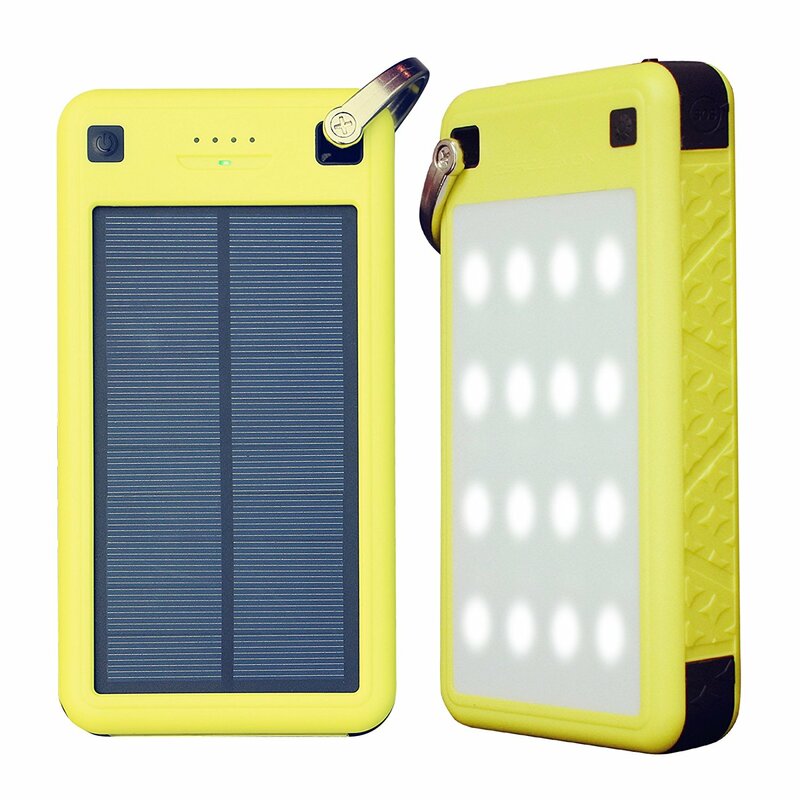 The ZeroLemon SolarJuice is a great option for those who want a rugged external battery. This 26,800mAh power bank is rain and shock resistant. Not only can you use the USB Type-C input to charge it, it also has a solar panel which can be used to charge the SolarJuice under direct sunlight. It’s great for when you’re in the outdoors and don’t have a power source but do keep in mind that it takes a fair bit of time for the battery to charge on just solar only. In keeping with its rugged theme, the SolarJuice also has a multi-functional LED flashlight. It’s available for purchase from Amazon for $41.99. Aukey’s external charger has a 20,000mAh battery and it too has USB Type-C input which will allow you to charge it using your Galaxy Note 8’s charger. It does take around 10 hours to charge, though. 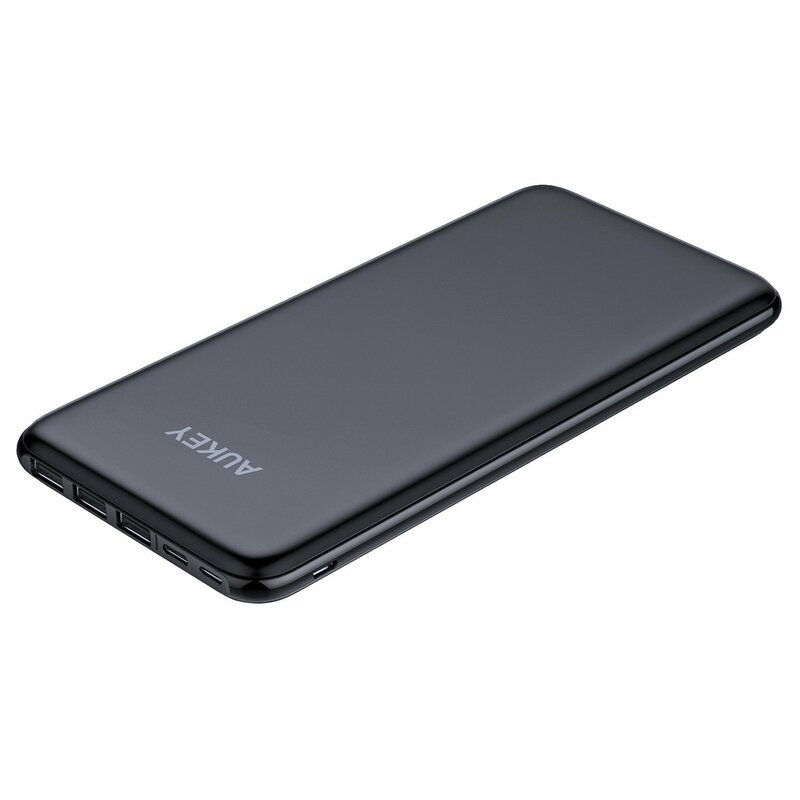 The 20,000mAh battery is packed inside a slim form factor which makes it a good option if you don’t want to carry around a hefty power bank. It also costs a bit less. You can buy the Aukey 20,000mAh battery pack from Amazon for $39.99. 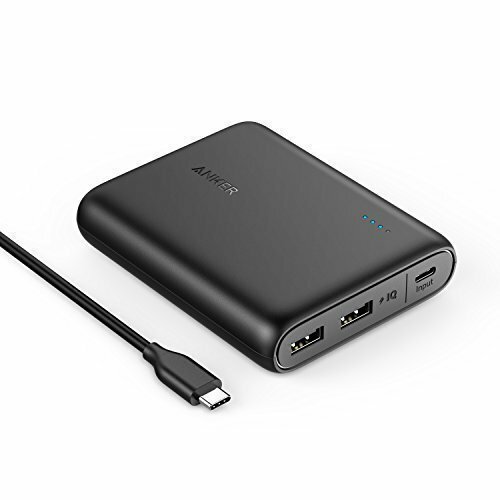 Anker is a well-known accessory manufacturer for mobile devices which is why its PowerCore battery pack has earned a place on this list of best power banks for Galaxy Note 8. It has a 13,000mAh battery and while it doesn’t support Qualcomm Quick Charge, it can deliver max charging speeds of up to 3A to any device. Available for $29.99 on Amazon, the Anker PowerCore is designed to fit in the palm or pocket easily, so carrying it around shouldn’t be too much of a burden. Its 5,100mAh capacity may not provide more than one charge cycle for your device but it’s on this list of best power banks for Galaxy Note 8 because it can charge the device up to 1.5x faster than standard USB charging options thanks to Samsung Fast Charge compatibility. Much like the other options in this list it also has USB Type-C input. 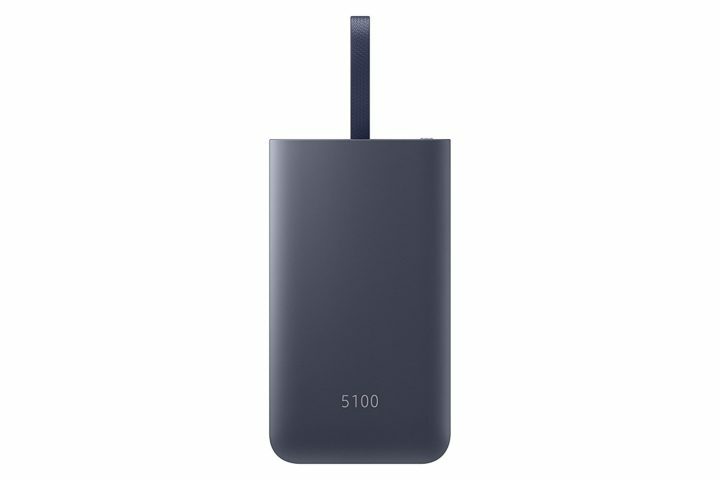 Samsung’s power bank even offers pass-through charging which will let you charge the external battery pack and your phone at the same time. To do that, just connect your phone to this battery and then start charging the battery. It costs $43 and you can buy it now from Amazon. These are only some of the best power banks for Galaxy Note 8 and there will surely be others but we have selected them because all have USB Type-C input. This eliminates the need for you to carry two chargers – one for the device and the other for the power bank. Thinking of picking one up? Let us know in the comments below which one you like the most. All wrong. The best power bank, you can have is 3 batteries to swap.